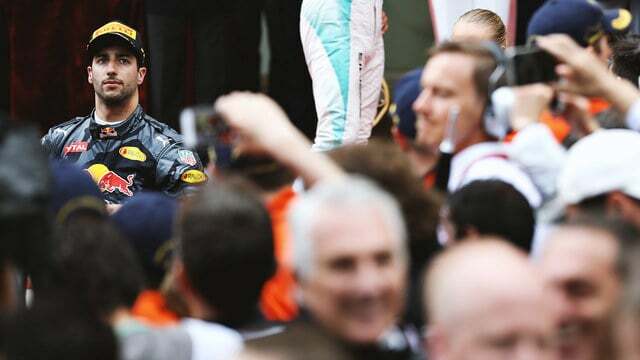 Usually I try to dig deeper for the best drivers down the field for this piece but Sunday’s Monaco GP was a clear example of the cream rising to the top. There were some decent drives from further down the grid, and the concentration of the 15 finishers was immense to keep the cars on track in tricky, changing conditions, but there were some truly sensational drives at the top of the field. The Aussie did everything right in Monaco. Unlike a poor third stint which potentially cost Ricciardo in Spain – though he put in a performance worthy of winning but was thwarted by strategy – the Red Bull man was flawless, in the top four all weekend and dominant in FP2. Ricciardo looked the man to take on the Mercedes all weekend whilst his teammate spent his time in the spotlight in a constant battle with the Monaco barriers, surviving a big impact at Massenet in FP3 before succumbing in qualifying at the Swimming Pool, ruining his weekend. Ricciardo’s pole time was nearly two tenths faster than either Mercedes could manage, a lap that beat the Mercs to pole for only the third time since 2013. In the race Ricciardo was once again on it, immediately opening up a significant gap of 13 seconds over Nico Rosberg in the eight laps after the safety car pulled off on lap 7, before Mercedes felt the need to swap their drivers on track. That 13 second cushion looked as though it would be crucial, despite the fact that Hamilton was faster he wasn’t able to close significantly. The pair proved how dominant they were, deciding to stay out on the extreme wet tyres for longer than anyone else bar Wehrlein and were still the fastest on the track. The critical moment came when Red Bull decided to hedge their bets and pit Ricciardo for intermediates on lap 23, a perfectly sensible move but one that conceded track position to Hamilton. 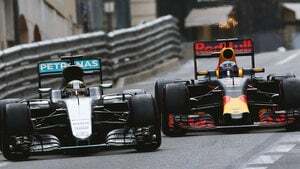 On any other track, Red Bull’s strategy would have worked but at Monaco, Hamilton was able to keep the Aussie behind him despite closing up to him at over two seconds a lap. Even despite this decision (calling it a mistake is strong but it gave Hamilton the opportunity to compete for the victory), Ricciardo was in a strong position to win the race, able to stay out for an extra lap when Hamilton finally pitted to move straight on to the ultrasofts on lap 31. Ricciardo had warmer tyres and would have a far quicker in-lap than Hamilton on cold dry tyres. That was until disaster struck: Red Bull didn’t have tyres ready as they were indecisive over which dry tyres to put Ricciardo on to, followed by a communication breakdown, resulting in a 13 second stop, just slow enough to allow Hamilton through. Ricciardo was still clearly the faster of the two, far more comfortable in the conditions, particularly on safety car restarts. There was still a chance, especially as Ricciardo was eventually fitted with the more durable supersoft tyres. The Aussie’s best opportunity came when Hamilton missed the chicane on lap 50 but Lewis slammed the door, desperate for his first win in the principality since 2008. Ricciardo controlled his frustration just enough to continue harrying Hamilton until late on but simply couldn’t get past in his faster Red Bull. Ricciardo couldn’t have done anything more all weekend, cementing his reputation as one of the best in F1. Unfortunately he was ultimately unable to add his name to the illustrious list of Monaco GP winners. While Daniel Ricciardo did nothing wrong all weekend, Lewis Hamilton’s drive must also be commended. Hamilton was the faster Mercedes all weekend, beating Rosberg in each session until a fuel temperature problem limited him to only one run and the Brit was unable to beat Nico, knowing he couldn’t risk starting 10th if he made a mistake. Once the safety car came in, it was very clear that Hamilton was the faster Mercedes in the wet conditions and Rosberg let him by on lap 14 under orders by the team. At that point, with the gap to Ricciardo, Nico must have been confident that Hamilton wouldn’t win. Hamilton had other ideas and put in two phenomenal stints, one on the extreme wets that he managed to preserve for 31 laps until he could change straight to slicks and then a 47 lap stint on ultrasofts, more than twice the expected life of the tyres. It was a very different drive by Hamilton, reliant on tyre conservation and aggressive defence but it highlighted why he is a triple world champion. Ricciardo should have won, but Hamilton's defensive ability, right to the limit, meant that he stole the win. Rarely have we seen such a speed differential between the two Mercedes drivers which shows what a good job Hamilton did in a tough car to handle. 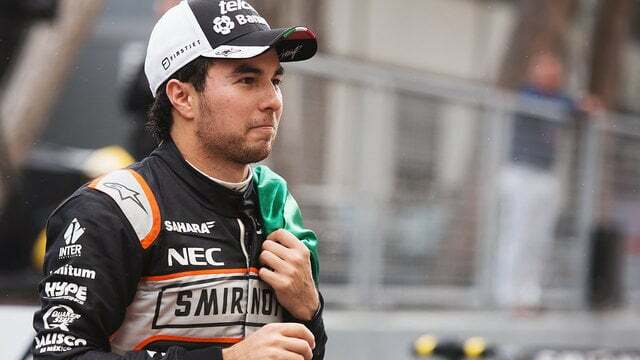 ‘Checo’ Perez is often seen as the weaker of the two Force India drivers but the Mexican has been brilliant since last year’s B-spec was introduced, and is far better at getting everything out of the car when there is a sniff of a podium, notching up his sixth podium to Hülkenberg’s zero. Both Force India’s snuck into Q3 and Hülkenberg put in a stonking lap to secure fifth on the grid, ahead of Räikkönen, with Pérez eighth (7th with Räikkönen's penalty). Both did well in qualifying to give the team the platform for a great result and boy did they deliver. Force India split their strategies, pitting Hülkenberg for inters on lap 15 but leaving Pérez out until lap 21, allowing the Mexican to get past Hulk and Vettel as they were stuck behind Massa. Pérez then came in on the optimum lap 30 for soft tyres, holding off Vettel and overtaking Rosberg to secure his place on the podium. What’s more, on the soft tyres Pérez could think about attacking ahead with more durable tyres but couldn’t quite get within the range of the imperious Hamilton and Ricciardo. Meanwhile Hülkenberg emerged on lap 31 just behind Pérez and yet in seventh behind Rosberg, forced to follow the slow Mercedes for the rest of the race until he got his opportunity right on the line to finish sixth. Monaco was Force India’s best team result since Bahrain 2014, and could prove 23 crucial points to the team’s future. Both drivers got the maximum they could have out of their respective strategies and proved why they are still seen as top talents in the F1 paddock.